The ongoing euro crisis has made “Europe” a main issue of national elections throughout the European Union. The Netherlands, where general elections will take place on September 12, are no exception. How is the Dutch Green party GroenLinks currently preparing for this? GEF spoke with Simon Otjes, electoral researcher of the Dutch green political foundation “De Helling”, and adviser of the GroenLinks campaign team for the general election. The September elections were called after the right-wing populist PVV, led by Geert Wilders, withdrew its support for the minority liberal-conservative and Christian-democratic government. The background of this break up was formed by austerity measures that had to be implemented in order to stick to EU budget discipline rules (“the 3% rule”). The PVV could not agree to austerity measures “being imposed by Brussels”, and decided to withdraw its support for the minority coalition. Since then, Geert Wilders has declared that the September elections will be “a crucial referendum on Europe”. So far, it seems that debate on “Europe” is indeed playing a major role in the election campaigns. How does this affect the campaigning of the Dutch Green Party GroenLinks? In general, according to Otjes, the current situation is difficult for GroenLinks as a majority of the Dutch citizens are rather eurosceptic, but he is confident about his party being able to tell a consistent, green and social story about Europe, unlike several other parties in the Netherlands. It is not the first time that the Dutch electorate will be focused on Europe. In June 2005, during the first referendum on Europe in the Netherlands, a majority of 61.5% (with a turnout of 63.3%) voted against the proposed European Constitution. When Geert Wilders attempts to define the upcoming elections as another referendum on Europe, he knows that he may count on wide-spread eurosceptic feelings in Dutch society. This way, two divides have come to shape the political debates in the Netherlands: a divide between a pro-European and a eurosceptic side of the political spectrum, and the traditional left-right division. On the pro-European side there is, apart from GroenLinks, the progressive-liberal party D66. This party profits most strongly from its ideological contrast with the PVV so far in terms of media attention and popular support. Although the party is today clearly pro-European, GroenLinks is familiar with euroscepticism. During the 1980s, like many other Green parties in Europe, the predecessors of GroenLinks strongly opposed the European economic integration process. How has it come to be that GroenLinks is such a consistently pro-European party these days? The eurosceptic leftist party SP is expected to be one of the big winners in the September elections. This party too may profit from the ongoing debate between simple pro-European and eurosceptic positions. A striking detail perhaps is that a recent poll has showed that the SP is one of the main electoral competitors of GroenLinks (together with the PvdA and D66). Apparently, for those people who are undecided between voting GroenLinks or SP, Europe is not the most crucial theme of the upcoming elections, in spite of several media and politicians suggesting otherwise. Within this given situation, it is the more important for GroenLinks to come with its own, distinctive narrative that makes clear why exactly people should vote for this party. A major challenge is to overcome the simplistic pro/contra Europe debates. A pro-European position does not necessarily mean that a party supports everything that the EU does after all. Therefore, GroenLinks tries to intertwine its European narrative with its other, green and social narratives. 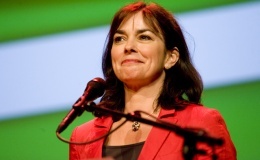 The GroenLinks election programme for September has been named “Green opportunities for the Netherlands”. This election programme has been divided into three parts reflecting three core values of the party: sustainability, equality of opportunities, and diversity. The theme “Europe” has not been isolated in the programme as a simple pro/contra topic on its own, but it has been interwoven with all three chapters, touching upon all fields in which Europe is important from the perspective of GroenLinks. Still, the legitimacy of European integration will inevitably become an issue during the campaigns. In the GroenLinks election programme this is touched upon by highlighting that Dutch people share fundamental values and culture with other Europeans, and that the European Union is crucial for the prosperity of people in the Netherlands, using the Dutch metaphor “broodnodig” (“necessary as bread”). How successful GroenLinks will be with their campaign still has to be seen in September. For sure, the party faces a major challenge to match its relatively good results of the 2010 elections, in which the party got 6.7% of the votes. In any case, a vote for GroenLinks can become extremely important for the further process of European integration. This is partly due to the fact that GroenLinks could, even if the results are not that good, join the next Dutch government. Seen from this perspective, it is good to know that GroenLinks remains consistent and constructive in its approach to Europe, and that every vote for this party, therefore, can really make a difference. On September 1, GroenLinks will organise a Europe Conference in the Beurs van Berlage in the centre of Amsterdam. This will be the first of a series of yearly conferences organised by the European Parliament delegation of GroenLinks. The three main topics of the conference will be how Europe has been dealing with the ongoing economic crisis so far, the green answers to this crisis, and a discussion on the division of power in Europe. 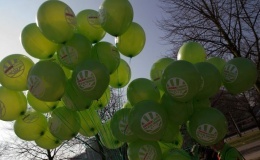 GroenLinks will, with other words, mark that day where it stands with regard to Europe and the ongoing economic crisis. More information on the Europe Conference can be found at the websites of GEF, GroenLinks and the GroenLinks delegation in the European Parliament.